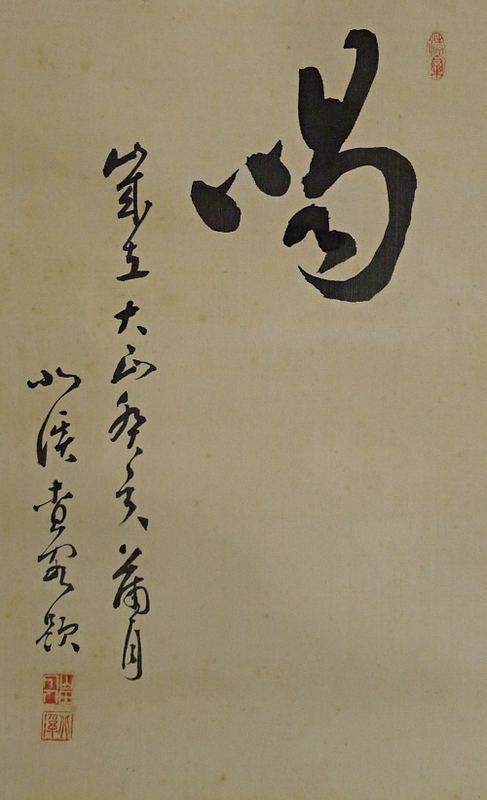 Description This scroll was drawn in 1923 (12th year of the Taisho era) in collaboration of 8 artists. It is slightly foxed overall as it was made years ago. There are a few strong folds on the drawing part. 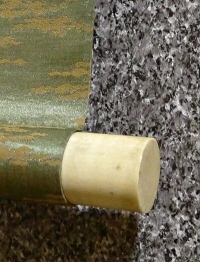 And there are spots, stains and rucks to some extent on the same part. 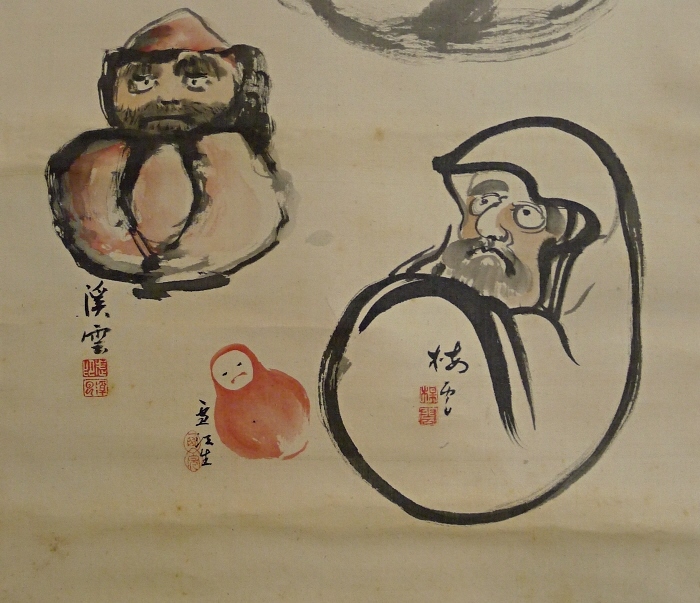 Although, Daruma are depicted very artistically and uniquely by 7 artists. A Kanji character that pronounces "Katsu !" 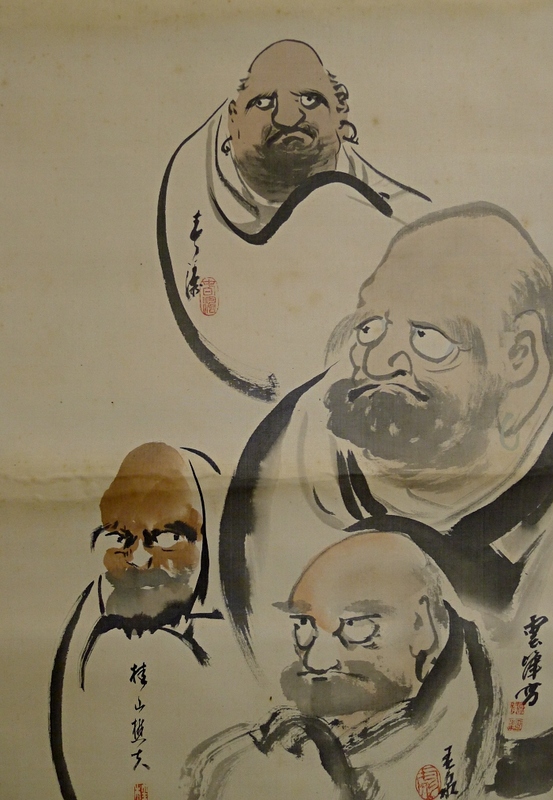 and which means exclamation used to scold practitioners in Zen, is also drawn by Yamada Hokkei.